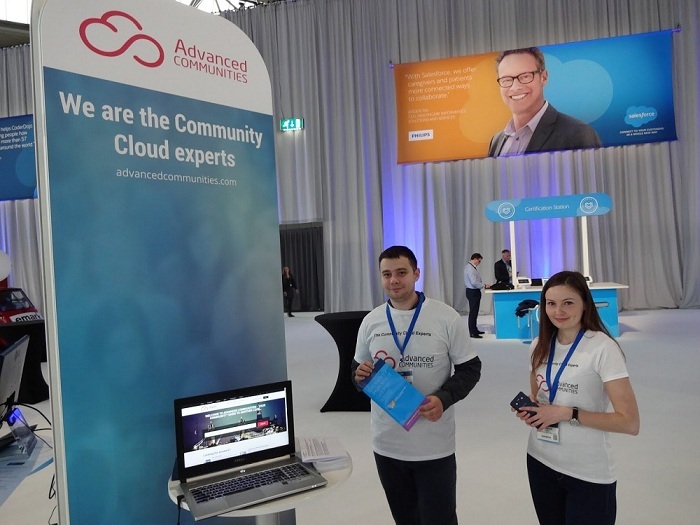 Advanced Communities was one of the sponsors of the Salesforce World Tour, which took place in Amsterdam at RAI on 14 April 2016. Because of the buzz created by social media, we were so excited about the upcoming Amsterdam event and really looking forward to it. We arrived at RAI early in the morning (at 7.00 am) to prepare our booth, but there were already a lot of people around, and all of them were full of excitement. According to the agenda, the registration process started at 8.00 am, which was just the beginning of a non-stop day. 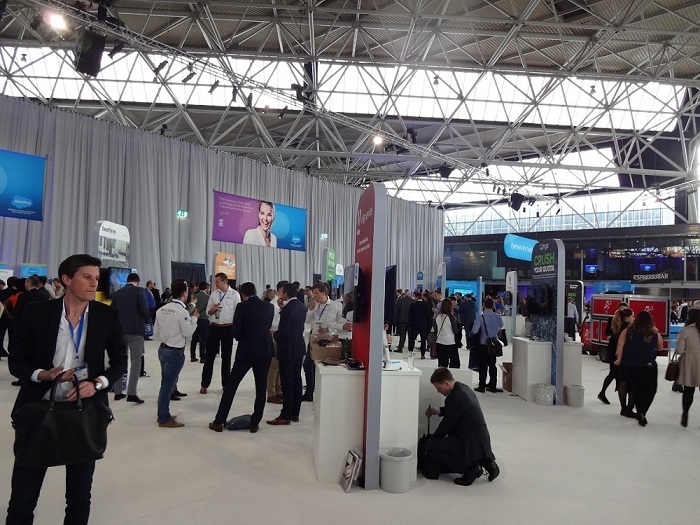 In short breaks between the breakout and keynote sessions, we were surrounded by people interested in Salesforce products and in Community Cloud in particular. This gave our team the opportunity to carry out a range of demos. Our company works with standard Salesforce templates – we help companies to implement custom components, such as the Ideas Lightning Component, which is compatible with any of the standard templates like Koa, Kokua and Napili. We also demonstrated community templates based on Visualforce with bright, beautiful designs and extended functionality. The event finished at 6.00 pm with drinks and entertainment going on into the night. Our general impression of the event was – WOW! It was definitely a success for Salesforce and all the sponsors. 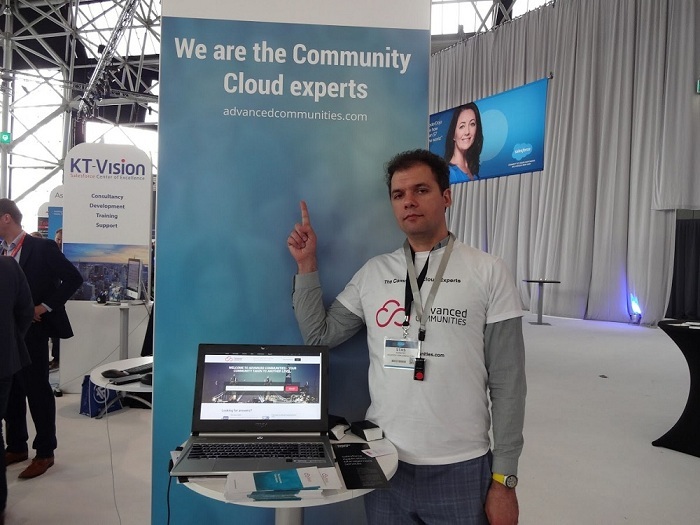 We met numerous people interested in Community Cloud and we answered hundreds of questions. We also got a lot out of the chance to network with so many people at the breakouts and the keynote sessions. Advanced Communities is a London-based consulting company which specialises in Salesforce Community Cloud and everything related to it. We’re experts in Community Cloud maintenance and development, but we also help companies to define the goals which they want to achieve with Community Cloud.